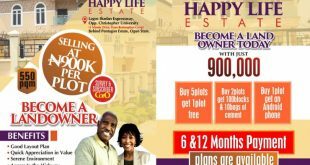 Are you thinking of Buying or Letting a Property (Land, Apartment, Complex, Office/Shop, etc) around Amuwo Odofin & its Environs? GRANDSCOPE Properties brings you some considerable options below. Are you a Landlord/ Landlady, Property Owner, Investor or Developer in need of a Professional Marketing Consulting Organization with Integrity to Handle your Real Estate? You are Welcome at GRANDSCOPE Properties! Twin duplex of 6 bedroom all rooms ensuite with pent house each. Kitchen has decent fixtures and fittings. Ample parking space within the compound. Well secured apartment with burglary proofs and fence for maximum security. A High end commercial and strategic plaza for sale at Festac Town, home to NIIT, Sweet Sensation amongst others with ample park space and super large suites. Highly renovated 2 bedroom flat, ground floor. Tiled floors and beautiful fittings. A 7 bedroom bungalow with a spacious compound sitting on a 1542.783msq. VIP GARDENS FESTAC TOWN, END OF 6TH AVENUE. VIP GARDENS FESTAC EXTENSION (ABULE ADO). Installment prices also available spread within 6 months. 3. Vacant Bungalow 3rd Avenue, Festac Town. 4. Vacant 3 bedroom flat 2nd floor, 24 road, Festac Town. 6. Prime Water front residential plot 1st avenue, Festac Town. 8. Land measuring 600SM at Global Success Road. 13. Two renovated 2 bedroom flats on the ground floor at 7th Avenue, Festac Town, with tiles, allumaco and water. 14. A 900SQM plot at 7th Avenue, Festac Town. 15. A Dry fenced plot of 410SQM and 650 SQM at Lakeview Estate, Amuwo Odofin. 16. 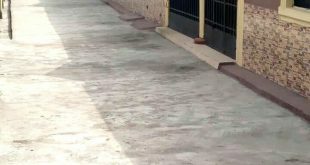 A plot of land at Onyebuchi Avenue, fenced with foundation, close to SOSAID charity. NOTE: All Properties Come With Valid Titles and Documents (C of O, mostly). 1. 1 bedroom flat 2nd floor 11 road, Festac Town. 2. 2 bedroom flat with water 5th Avenue (ground floor), Festac Town. 3rd floor 311 Road, Festac Town. 4. 4 bedroom duplex at 5th Avenue, Festac Town. 5. 4 bedroom luxury flat, upstairs, at 4041 Road, Festac Town. 7. 5 bedroom duplex with extra-large compound at 3rd Avenue, Festac Town. 8. 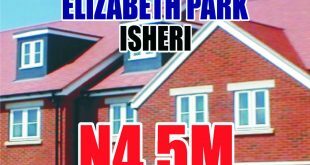 6 bed room duplex with a large BQ and compound that can accommodate up to 15 cars in a well secure estate. 9. 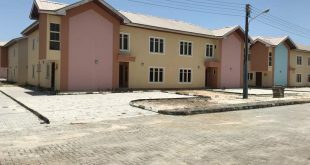 4 bedroom duplex with two parlors at Raji Rasaki Estate, Amuwo. 12. 2 bedroom at 403 Festac Town. 13. A room and Parlor in Apple Estate. All rooms ensuite. NOTE: One Year Rent Payment Required. * TERMS & CONDITIONS APPLY TO RENTING/ LETTING OF PROPERTIES. Previous DISTRESS SALE: Luxury Duplex for Sale at Lekki, Lagos. Next UNBELIEVABLE REAL ESTATE BLACK FRIDAY PROMO!!! GRAB THE OPPORTUNITY NOW!